Fall is my favorite time of year. The weather got cold & crisp this weekend. And along with the cool weather came all the outdoor events. Definitely a great weekend! - Date night at Eddy V's. 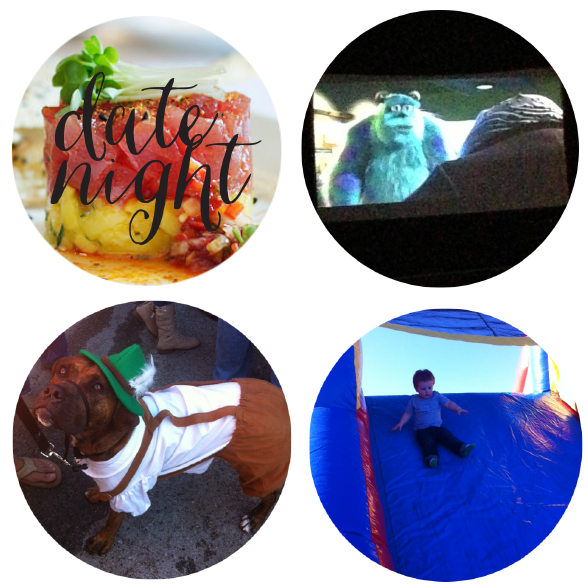 - Movies under the stars with one of Asher's favorite movies and some of his favorite buddies. - Oktoberfest event with dogs in costumes... perfect! - A neighborhood festival with Asher's favorite... bounce houses.